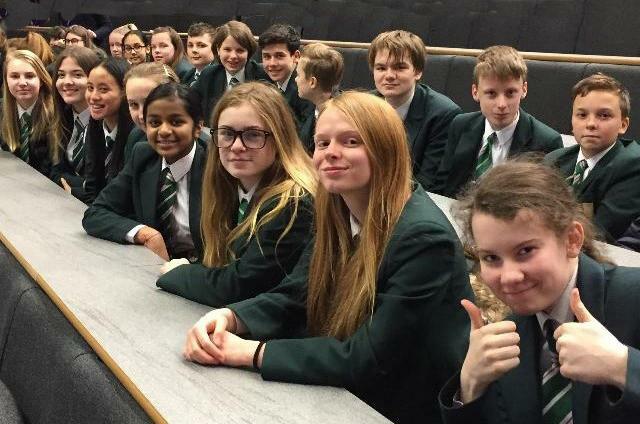 Students from The Fallibroome Academy supported by the Rotary Club of Macclesfield Castle attended the excellent Excitement of Science lecture entitled ‘Robots are Coming’ given by Danielle George, Professor of Radio Frequency Engineering at Manchester University, who has worked with the European Space Agency (ESA). 'We were delighted that our students were able to participate in this event and thereby gain a glimpse of the future in this exciting field. Robotics and artificial intelligence are going to play an enormous role in every aspect of our students' lives, so it is crucial that they are aware of the possibilities, opportunities and potential pitfalls in this area. We are especially grateful to the Rotary Club for their support of this important event.